HEINOLA, Fin. 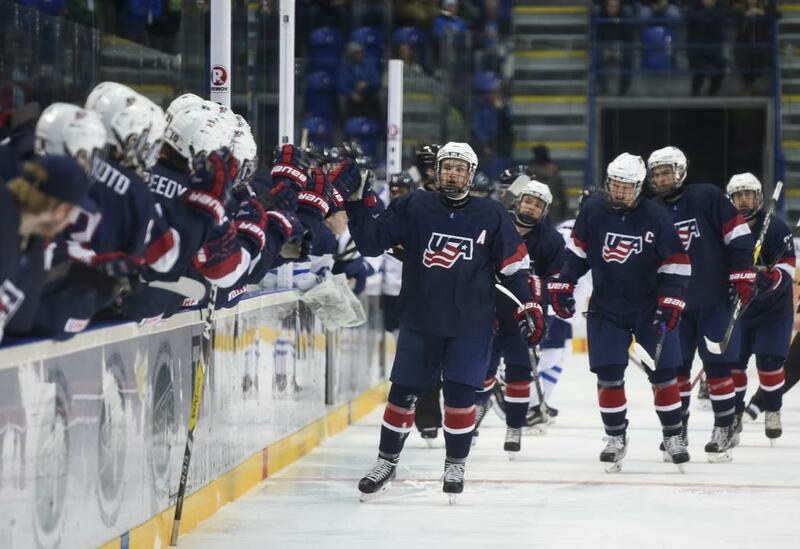 – The U.S. Under-18 Men's National Team fell to Finland, 1-0, in its first exhibition game leading up to the 2019 IIHF Under-18 Men’s World Championship. Finland scored the game’s lone goal in early in the first period 2:27 into play. Spencer Knight (Darien, Conn.) kept the game tight throughout the first period, stopping multiple shots on net including a breakaway attempt at 7:45. Team USA maintained its pressure throughout the second frame, outshooting Finland 8-6. Knight was pulled for the extra attacker with 1:30 to play, but Team USA was unable to find the equalizer accounting for the 1-0 final. Knight stopped 27 of 28 shots faced. Team USA returns to action tomorrow at 2 p.m. local/7 a.m. ET in its second exhibition game vs. Switzerland in Heinola, Finland. NOTES: Team USA went 0-for-4 on the power play and 4-for-4 on the penalty kill ... Cam York (Anaheim Hills, Calif.) was named U.S. Player of the Game ... Team USA news, interviews, highlights and more can be found at TeamUSA.USAHockey.com ... For the official IIHF home for the U18 Men's World Championship, visit iihf.com/en/events/2019/wm18 ... All 21 players on the U.S. roster come from USA Hockey's National Team Development Program … Four players who won a silver medal for Team USA at the 2018 IIHF Under-18 Men’s World Championship are represented on the roster including Cole Caufield (Stevens Points, Wis.), Jack Hughes (Orlando, Fla.), Spencer Knight (Darien, Conn.) and Cam York (Anaheim Hills, Calif.) … Twelve different states are represented on the roster. Massachusetts and New York lead the way with five skaters, Illinois follows with three, and Connecticut, California, Florida, Indiana, Minnesota, New Jersey, North Dakota, Wisconsin and Texas have one player each … The U.S. enters the tournament having captured a record 15 consecutive medals, including gold medals in seven of the last ten years (2009, 2010, 2011, 2012, 2014, 2015, 2017) ... Team USA has won 10 gold medals all-time, the most of any country in IIHF Under-18 Men's World Championship history. The event began in 1999. Team USA earned its first gold medal in 2002 ... 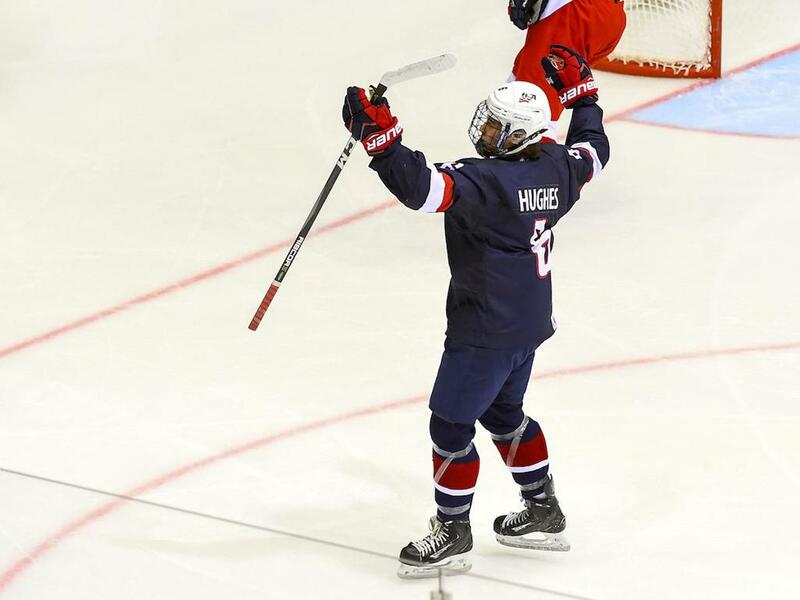 Follow @USAHockey on Twitter for live scoring updates during the tournament. Scores will be designated with the #U18Worlds tag ... For additional coverage, visit the USA Hockey Facebook page and Instagram account.) ... USA Hockey's international council, chaired by Gavin Regan (Potsdam, N.Y.), has oversight responsibilities for all U.S. national teams.